This bundle is for the individual wanting to grasp a firmer understanding of spiritual principles while solidifying them into their being. 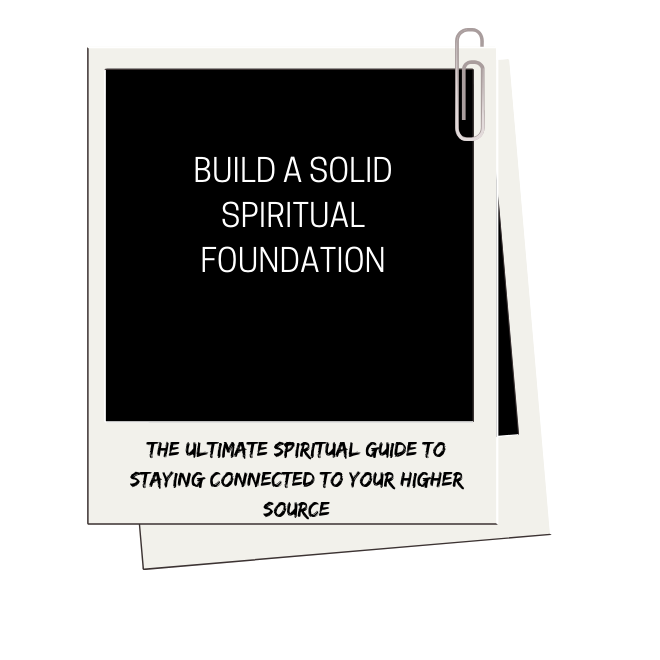 Whether they've been on a spiritual path for a while or are brand new to their beliefs, this bundle provides a solid foundation for those seeking it. Amy is known for simplifying deep spiritual teachings into a really relatable format for all ages and walks of life to understand and apply to their lives! Amy breaks down the laws of the universe in a way you've never heard before. This document provides you step by step guidance into understanding energy, thoughts and quantum physics. A common struggle most individuals have is quieting their mind. After years of working indvidiually with clients, Amy found one of the top questions she was asked was "How do you meditate". She has simplified instructions that not only guide newbies into meditating, but they also serve as a valuable resource for those who have been meditating for quite some time. Amy has compiled a list of what she labels "Spiritual Symptoms" to guide you into recognizing when you've disconnected from God/Source/Inner Being. This document is going to serve as a guided handbook for you to reference daily to better understand your emotional guidance system, energy and how to stay connected and in alignment with yourself. This bundle is the trifecta of spiritual basics to have in your back pocket in order to help you stay grounded, centered and balanced in this world!